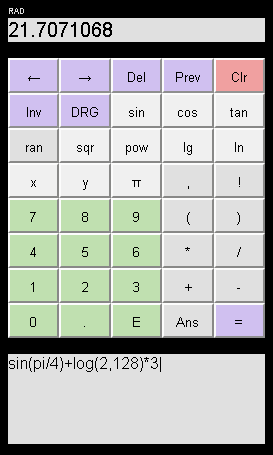 TKalk is a free, small and safe open source scientific calculator for Symbian S60-touchscreen devices like the Nokia 5800. Download tkalk.wgz to your device (or to your computer and transfer it to the phone), open the file manager and tap on the file to install. An icon in the program menu will be created.